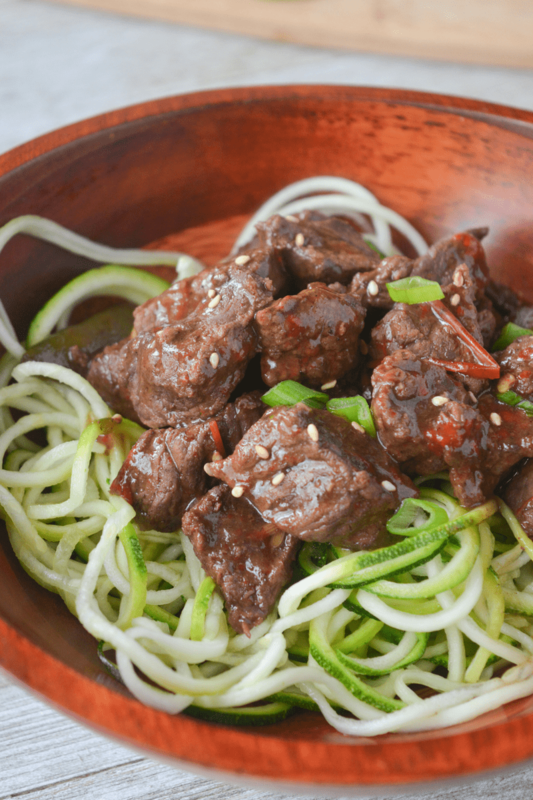 Fresh grated ginger, red peppers, and minced garlic are all part of this Low Carb Slow Cooker Chinese Five-Spice Beef, a savory dish that will satisfy your Asian-style cuisine cravings! This recipe is used with permission from Craveable Keto by Kyndra Holley. 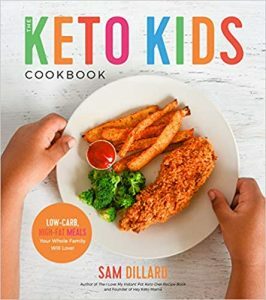 Before I get to the recipe, I want to share my thoughts on this book because I really love it and think it’s a valuable resource to the Keto and low carb community. I love cookbooks because sometimes the internet can be overwhelming. 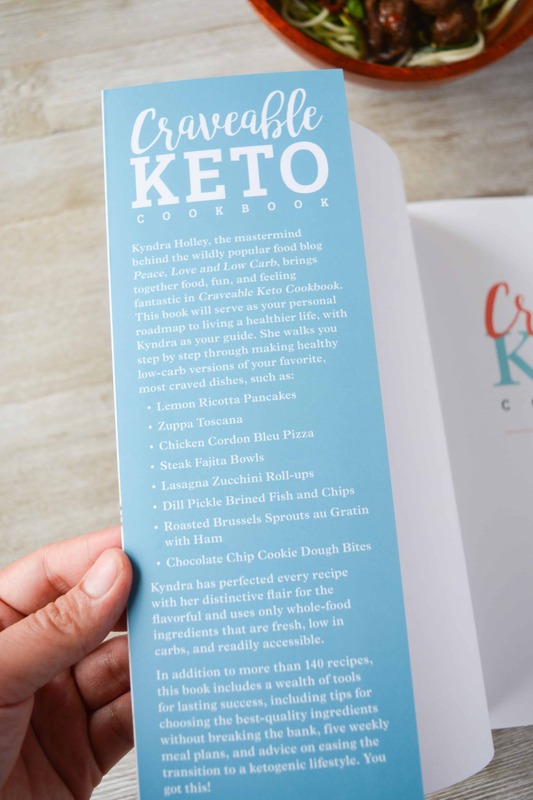 Sure, there are lots of easy keto recipes online, but when you’re just starting out tons of information can be just too much. Kyndra Holley’s site Peace, Love, and Low Carb is a favorite bookmark. If you follow me on Instagram, you’ve probably seen me make her Keto Flourless Chewy Double Chocolate Chip Cookies about a thousand times. They’re my absolute favorite homemade low-carb cookie. 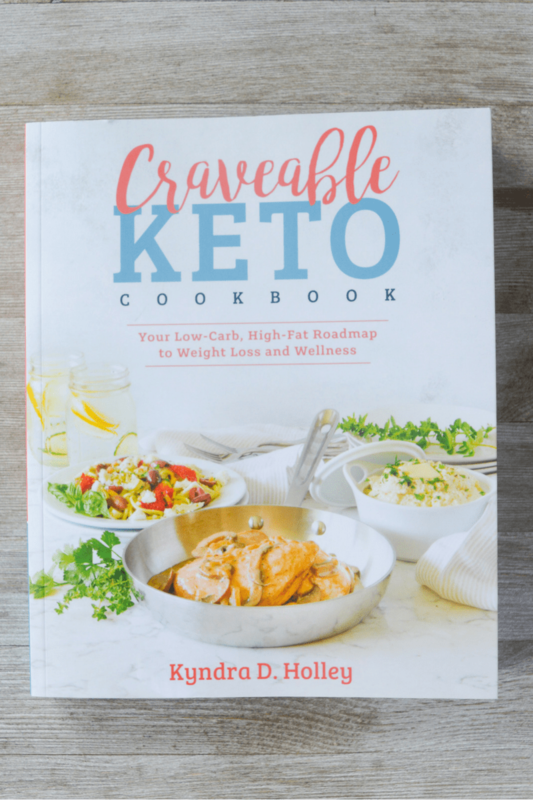 Recently, Kyndra released Craveable Keto Cookbook and It. Is. Beautiful. She sent me a copy for free, which was so sweet. Honestly I would buy it anyway because it is seriously that good. You can pick it up anywhere books are sold, including Amazon and Barnes & Noble. 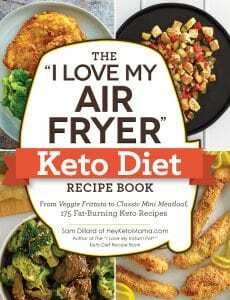 Keto for weight loss can look different than keto for general health, and Kyndra gets it. She has struggled with weight gain and loss throughout her life, and she documents it with pictures and journal-like stories. She shares her story and gives practical advice including tips for not becoming overly obsessive about the scale in the weight loss process. 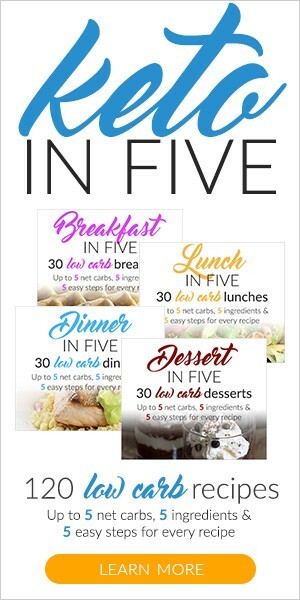 For every recipe there is complete nutrition information including pre-calculated net carbs at the top of each page. I found this especially helpful when bookmarking recipes because the net carbs are so easily visible. One of the most unique things about the book was the visual meal plan. There are a few different options to choose from whether you’re dairy free, or looking for quick meals. The visual meal plan has a calendar and photos of each dish, and the page number each recipe can be found on. I’m a super visual person so I found this guide easier to navigate than text. There’s also a ton of helpful information on how to start Keto and even nagivate the grocery store. Here’s a peek inside the cover! 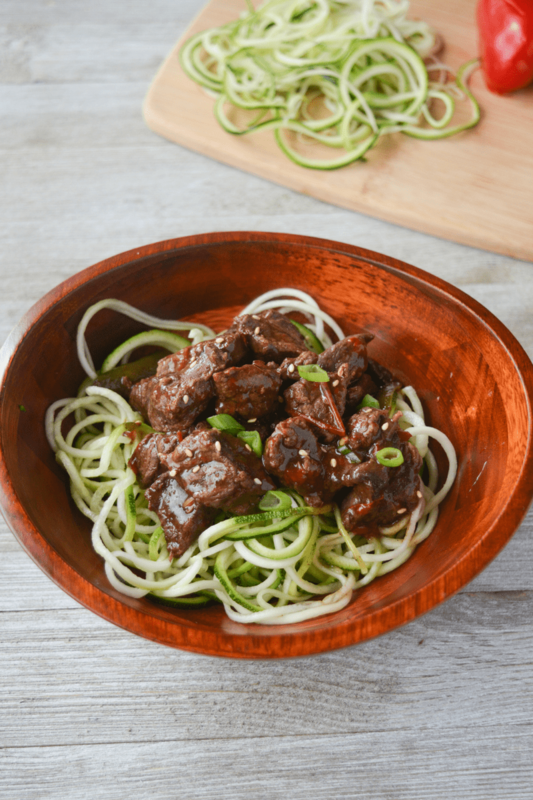 For my first recipe out of the book, I wanted to try something completely different than what I normally eat, which is why I chose this highly seasoned beef recipe. Chinese Five-Spice is something I’ve never worked with. I couldn’t even find any in our smallish town so I had to make my own. I swapped out the cauliflower rice that was suggested in the book for zucchini noodles. You can use either, or just enjoy the beef alone to reduce the carb count of the entire meal. Preheat slow cooker on the low setting. Season the stew beef generously with salt and pepper. Heat the olive oil in a large skillet over medium-high heat. Add the beef and sear until browned on the outside, then transfer it, with juices, to the slow cooker. To the slow cooker, add the stock, sherry, coconut aminos, vinegar, bell peppers, mushrooms, shallows, garlic, ginger, five spice powder, and red pepper flakes. Stir to combine, cover and cook for 6 hours. Add the snow peas and cook for an additional hour. Garnish the beef with green onions and sesame seeds. Serve over cauliflower rice or zucchini noodles, if desired. These are not included in nutrition information. To reduce the amount of carbs in this recipe, simply reduce the amount of snow peas and adjust your personal nutrition information accordingly. The recipe states that it makes 8 servings, I do not have exact measurements. If you need the exact amount, place an empty bowl on your food scale and zero it out. Then add the contents of your slow cooker to the bowl, weighing in grams. Divide that number into 8 and it will give you the amount of grams for each serving. I eat zoodles all the time, so I’m definitely going to try this with them next time I eat them.